Mariam, The Mighty, immigrated to America leaving behind a culture of shortage and conservation versus the shock of abundance and waste. Her Mom did the unthinkable, she recycled matches… yes, matches. Stop the waste is the message from the author. She describes a collection of hilarious situations where the DMV has spent money on things which are unnecessary or extravagant like a $60,000-crossing guard to help adult DMV employees cross between two connected buildings! DMV’s janitor versus the donkey cart in Egypt! DMV state-of-the-art scanners and Egyptian ancient technology, what do they have in common?! The Killer Keyboard…The Hall of Mirrors…Committing Hairy Chairy…Bumper Chairs…Trash Talking…It is snowing at DMV… ‘Eatin’ Your Taxes! WHO’S HUNGRY!!!! “Best potlucks ever at the DMV!! !” and more stories DMV doesn’t want you to know. 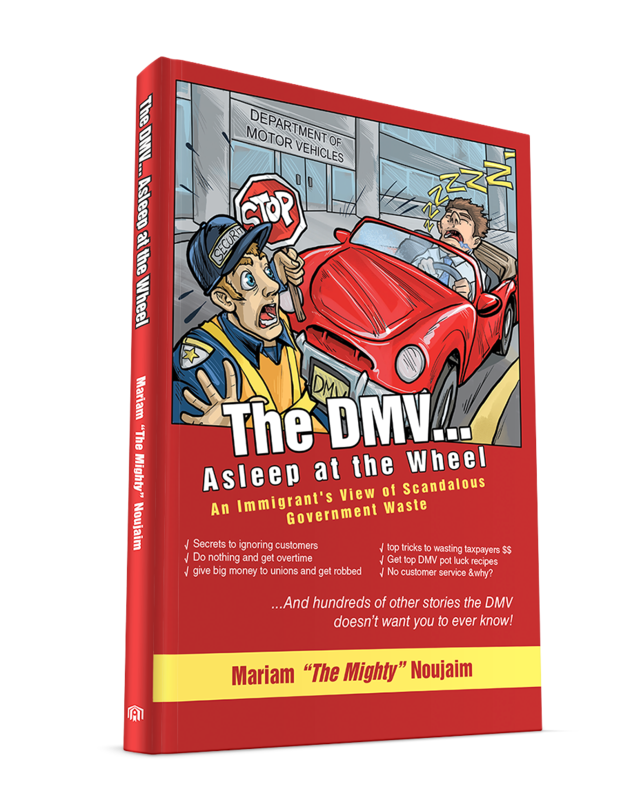 The book will illustrate the problems while you laugh your …. Off! This is a book of ALL TRUE stories which sheds light on the waste in a comical way. Sometimes, it only takes a match in the dark to spark a revolution.